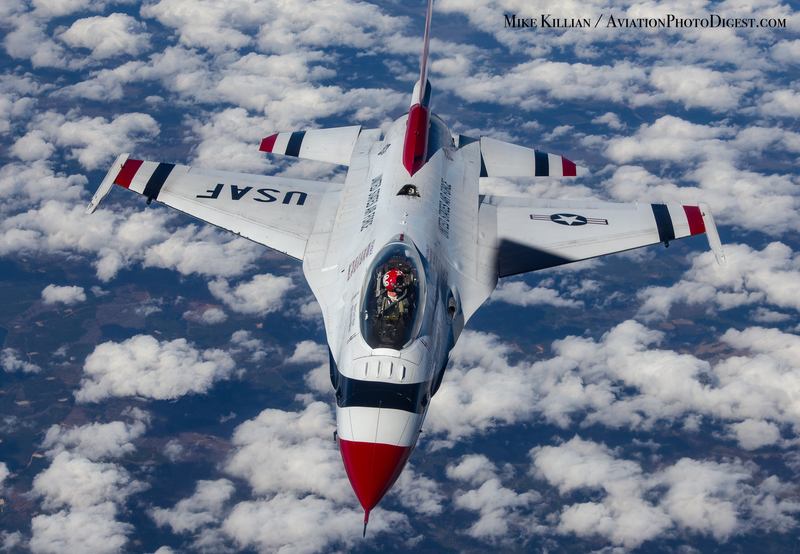 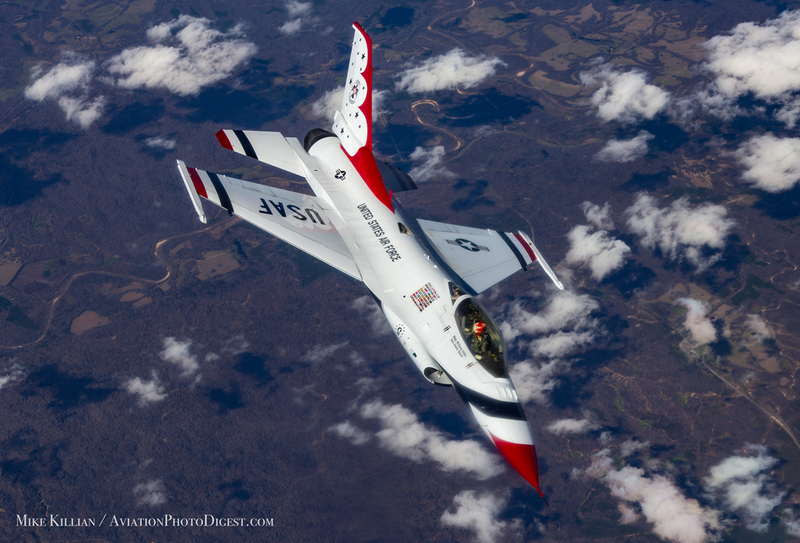 The U.S. Air Force Thunderbirds are back in Florida for their first public performance of a busy 2016 for the F-16 demonstration squadron. 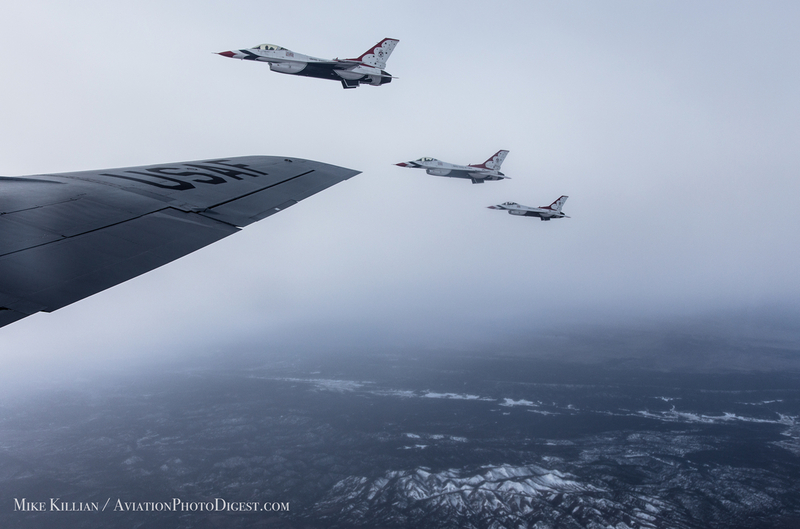 On Friday, Feb. 19, the team departed their home at Nellis AFB, NV for Daytona Beach, Fla., where they are scheduled to perform the National Anthem flyover at this Sunday’s Daytona 500. 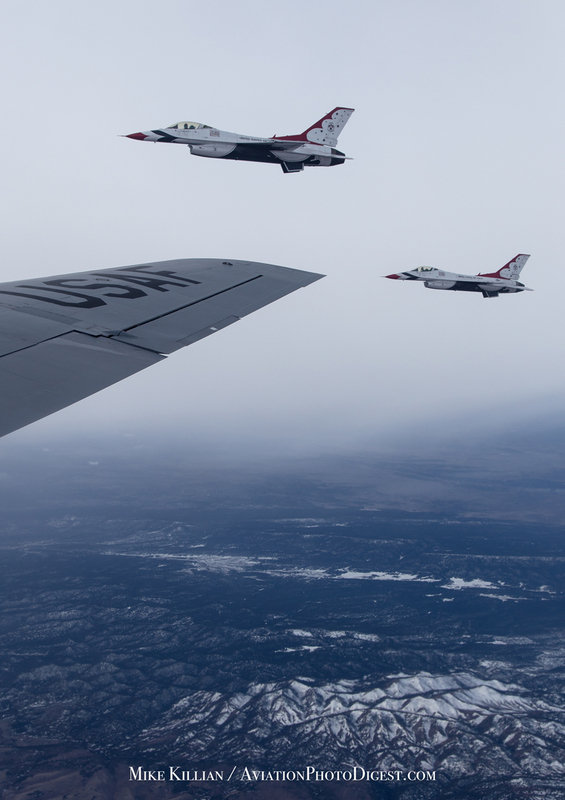 But they needed help along the way to get there. 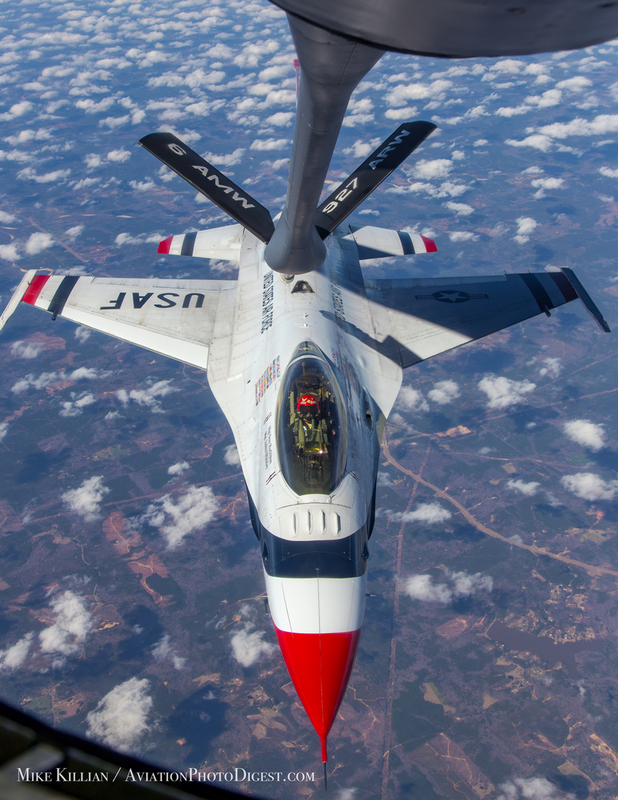 U.S. global air superiority comes thanks, in large part, to aerial refuelers, such as KC-135 Stratotankers and their crews. 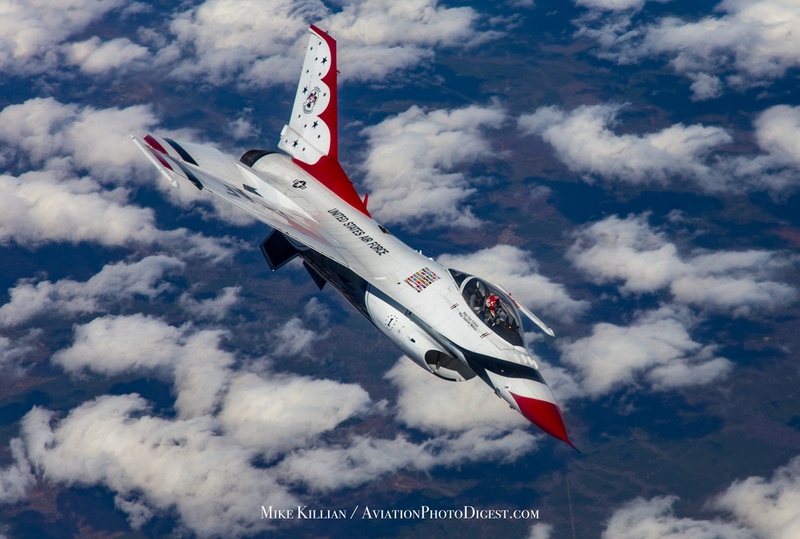 The birds are old, dating back to the 50’s and 60’s, but they are well maintained and have been modified heavily over the years to expand its capabilities, efficiency, safety and reliability. 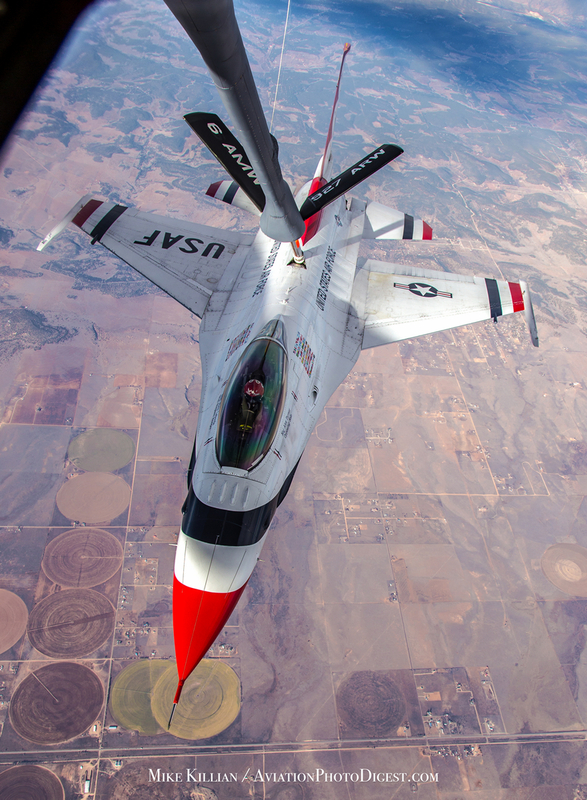 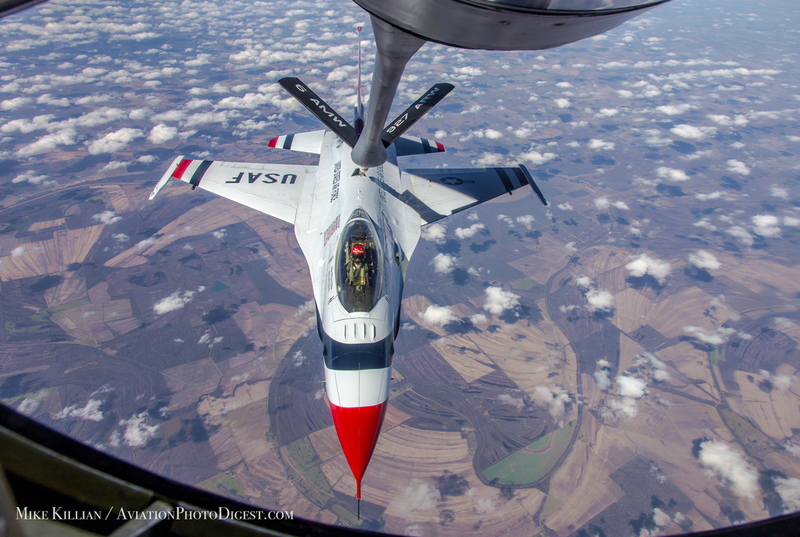 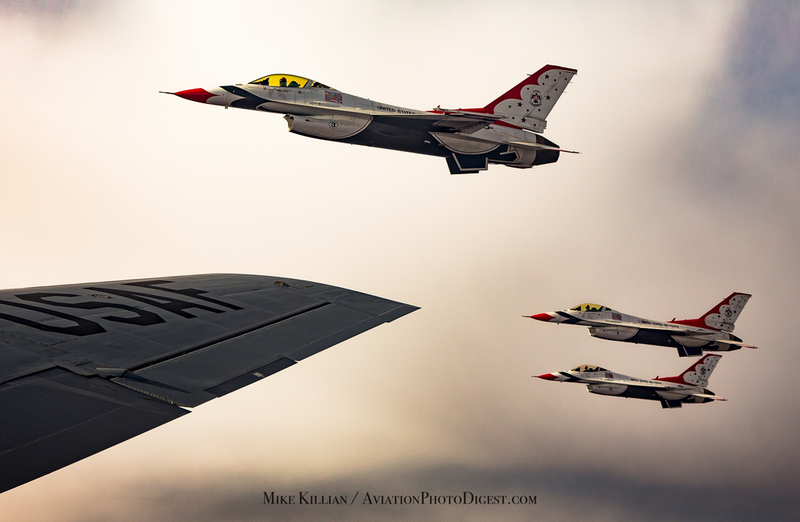 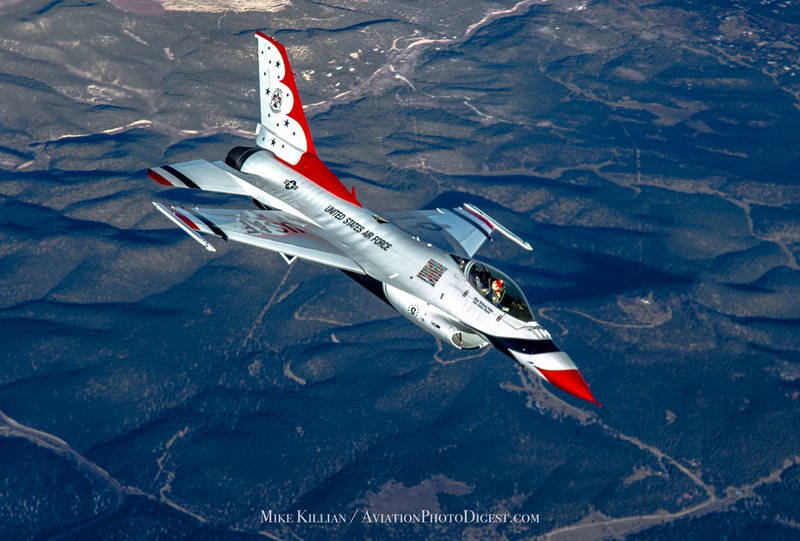 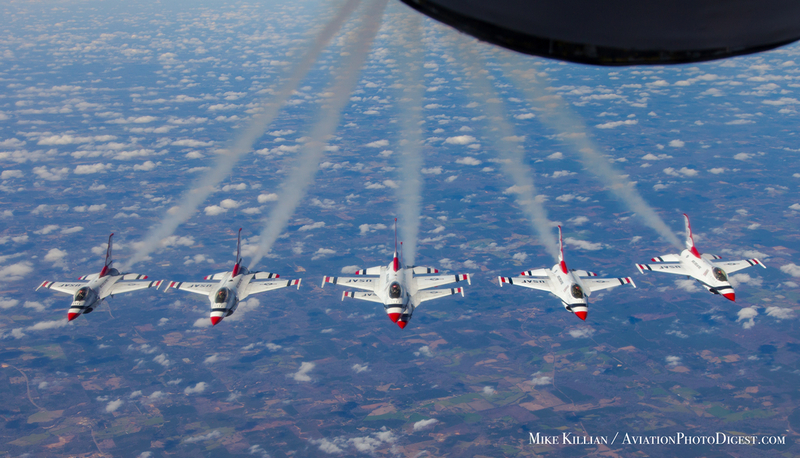 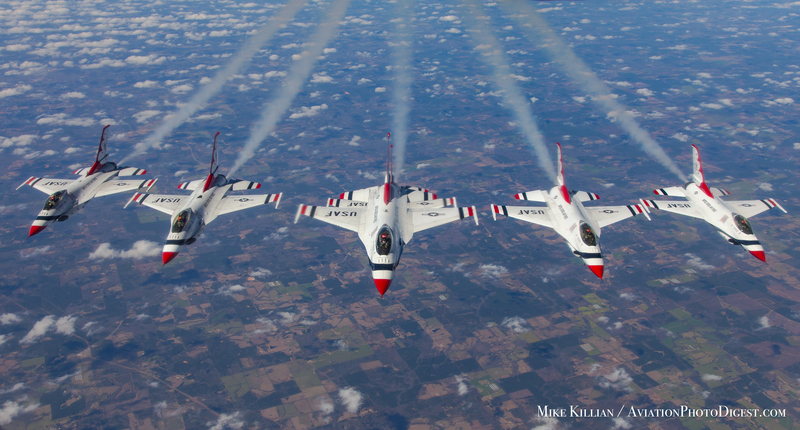 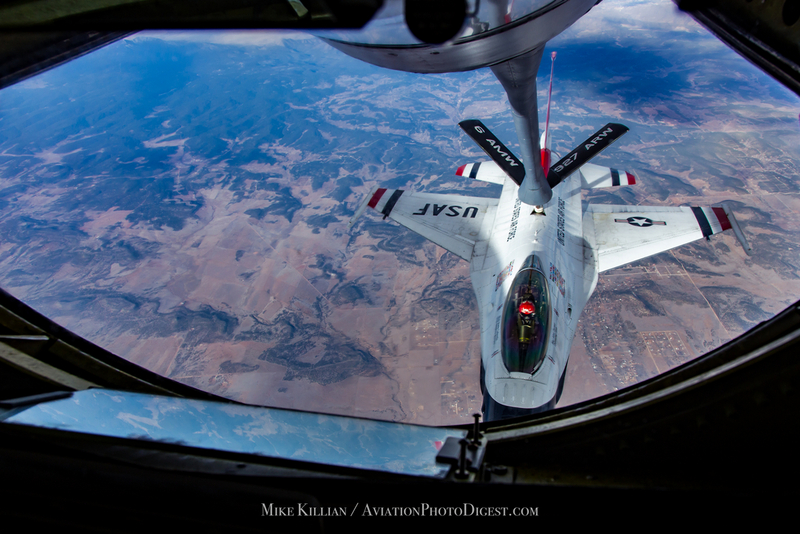 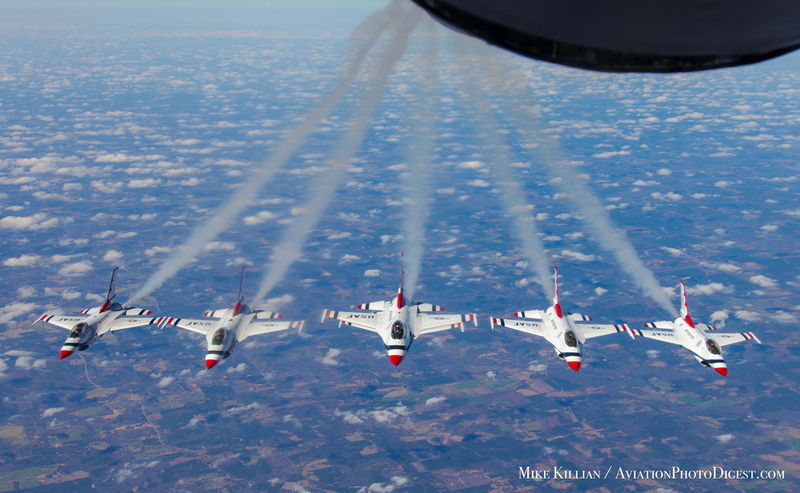 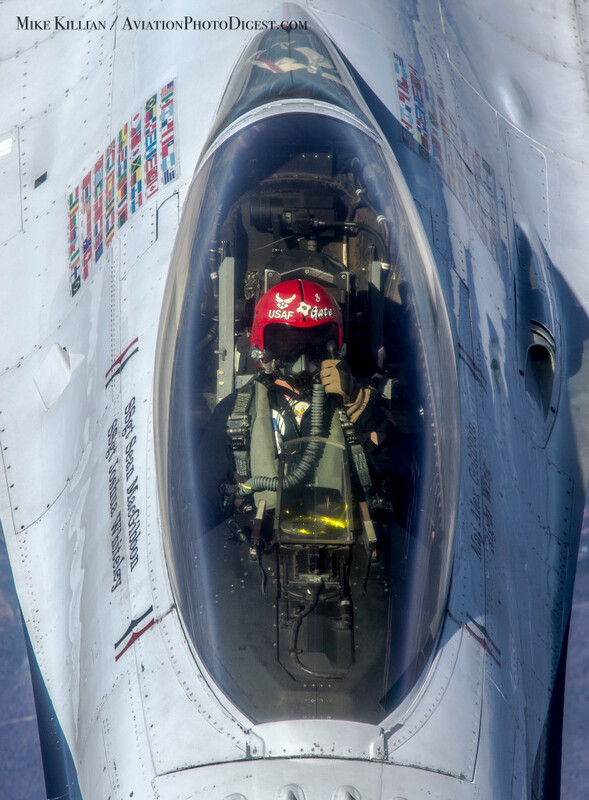 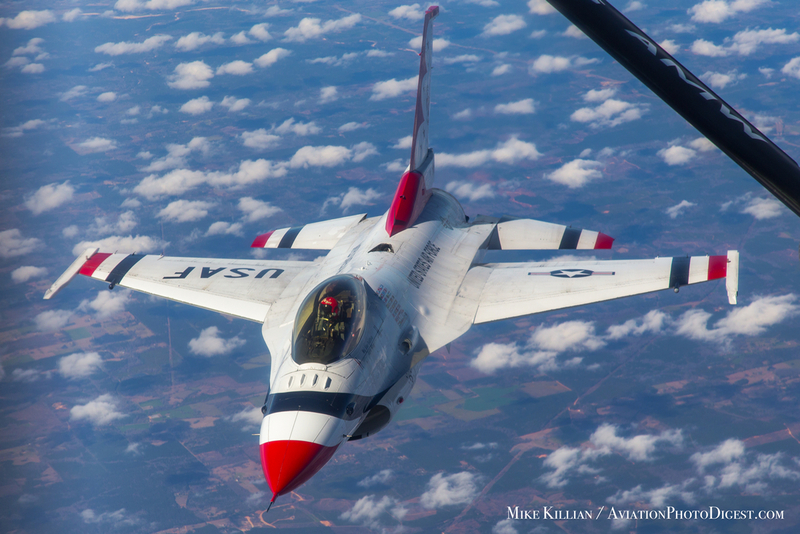 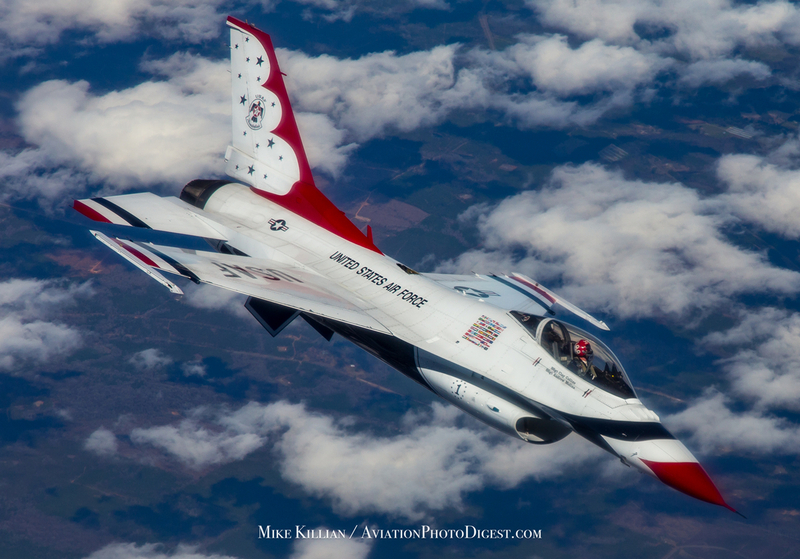 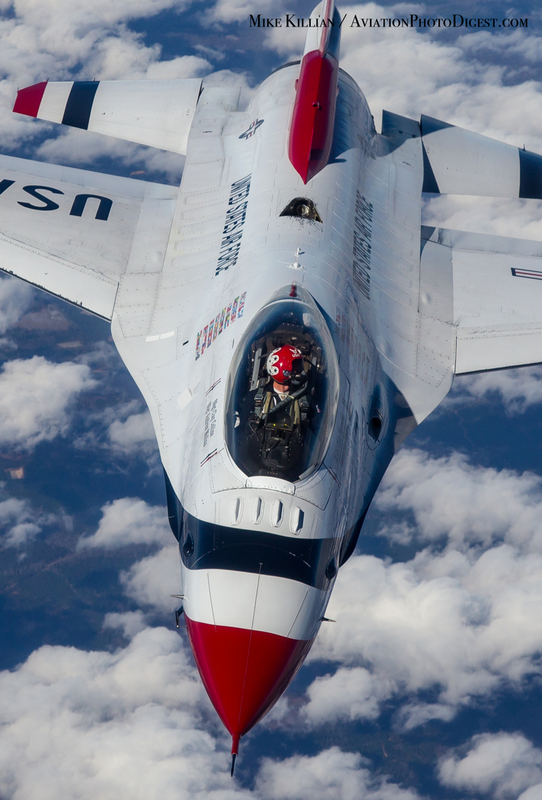 United States airpower simply would not be what it is today without mid-air refueling, and the Thunderbirds required two mid-air fuel stops to get cross-country for NASCAR’s Super Bowl this weekend. 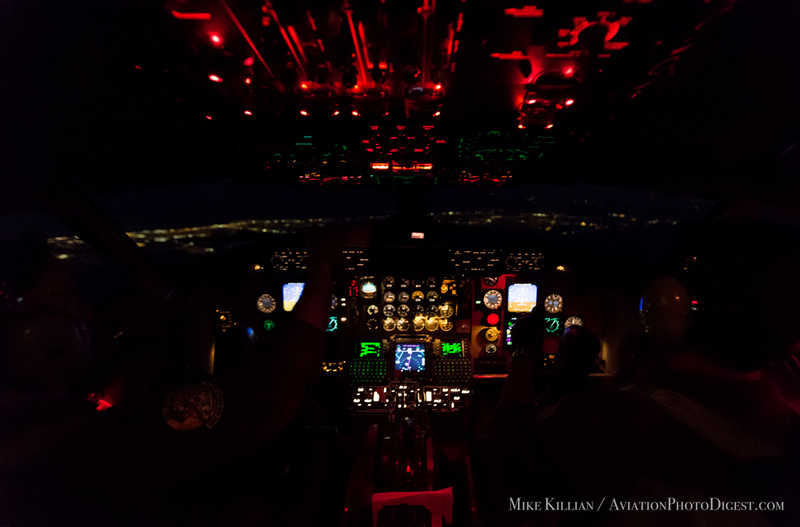 Venus shined bright to the west as dawn swept across Florida’s Gulf coast, marking the start of our flight and climb to 36,000 feet. 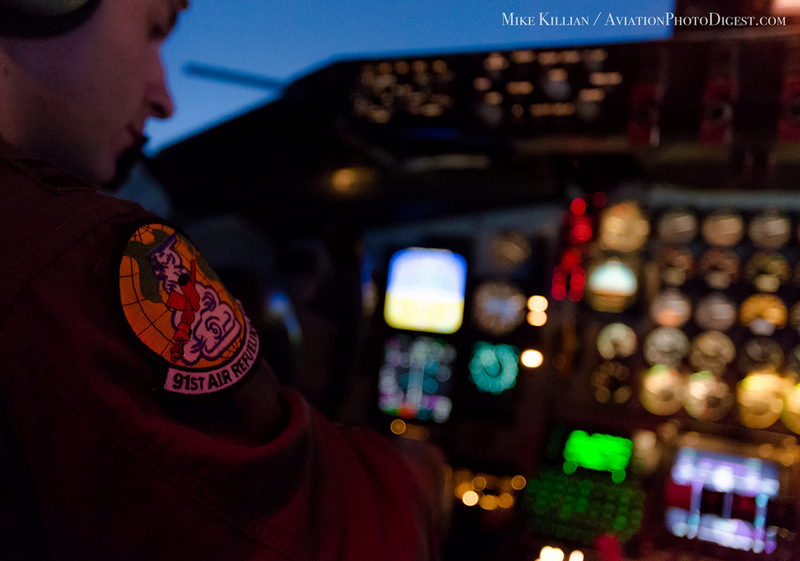 We raced the sunrise west, fuel stop #1 would occur in the skies over eastern New Mexico and western Texas. 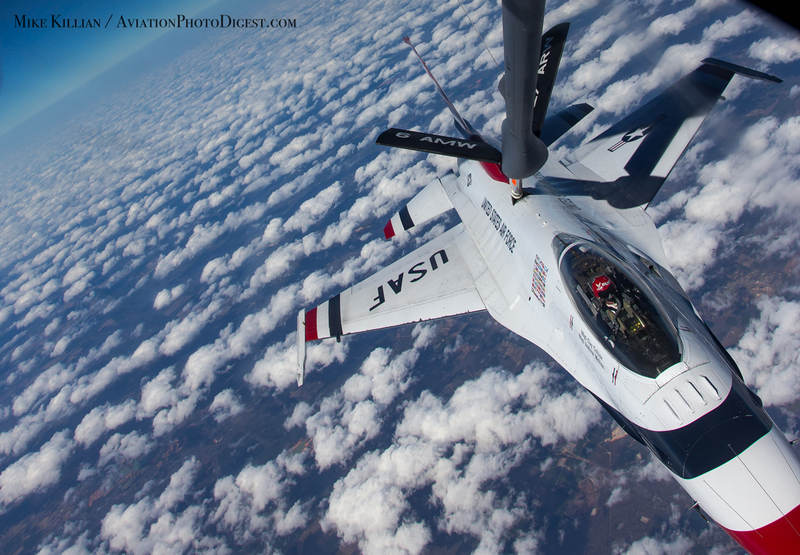 The mission was fairly straightforward; refuel all 6 planes twice with 5,000 pounds each. 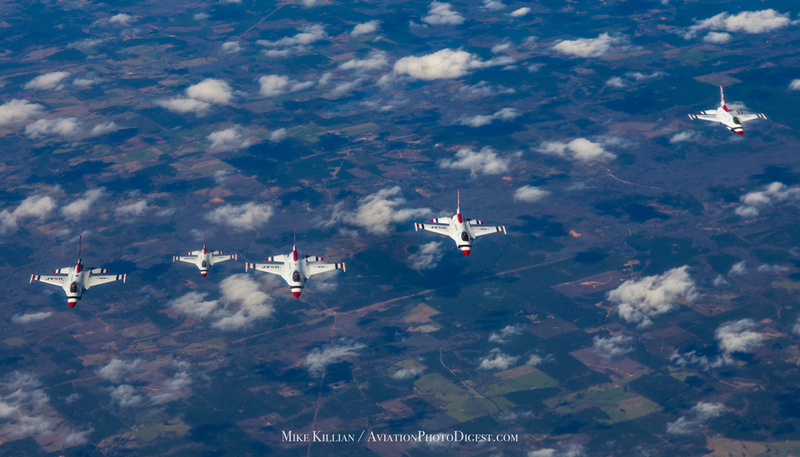 Fueling takes just minutes, we met over NM at 400mph and 26,000 feet, each bird taking its turn as we crossed into Texas. 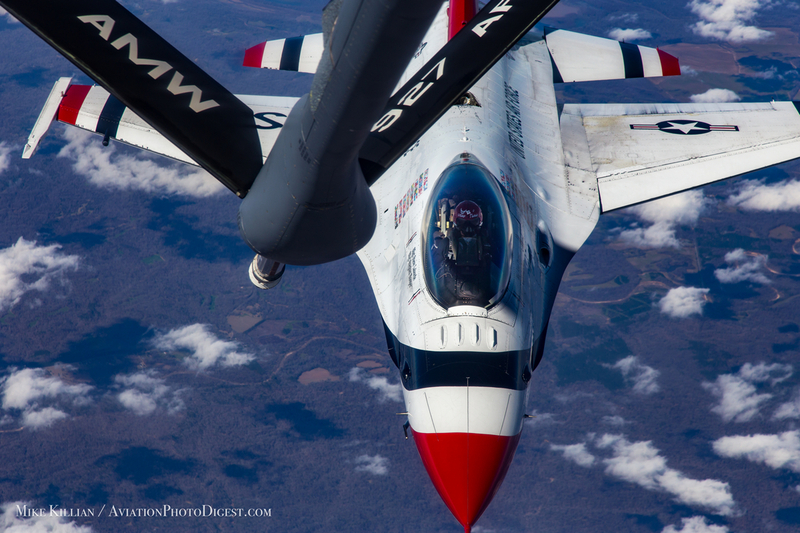 The boom operator lays down in front of a window to fuel the jets. 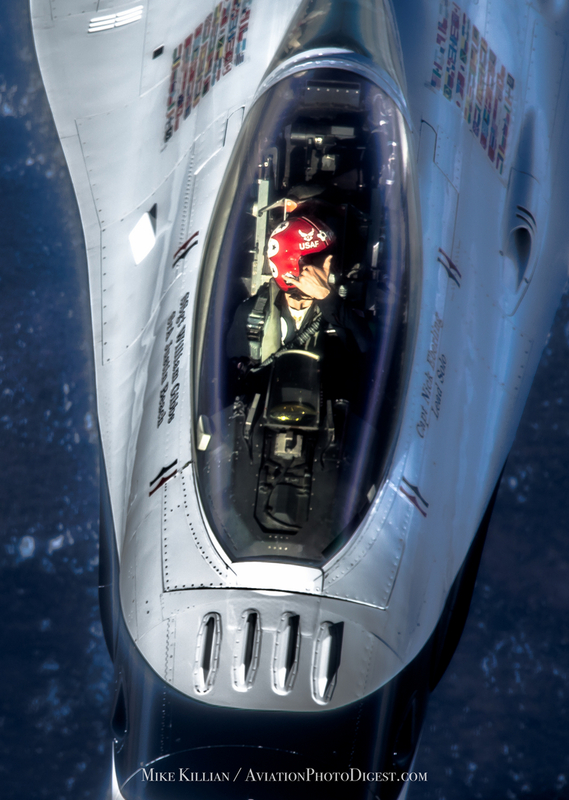 On each side is a steel “bed”, where instructors and students can observe and train. 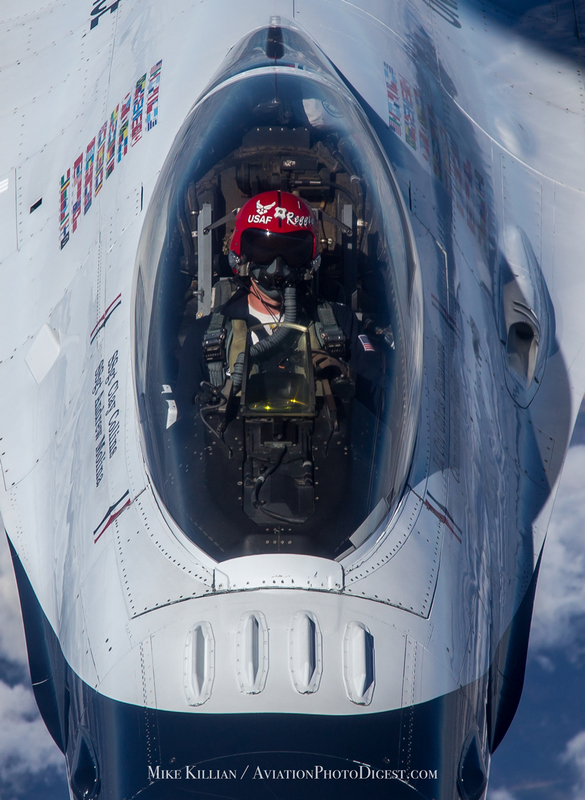 For this day though it became my office too, shooting photos and video while laying down on my stomach. 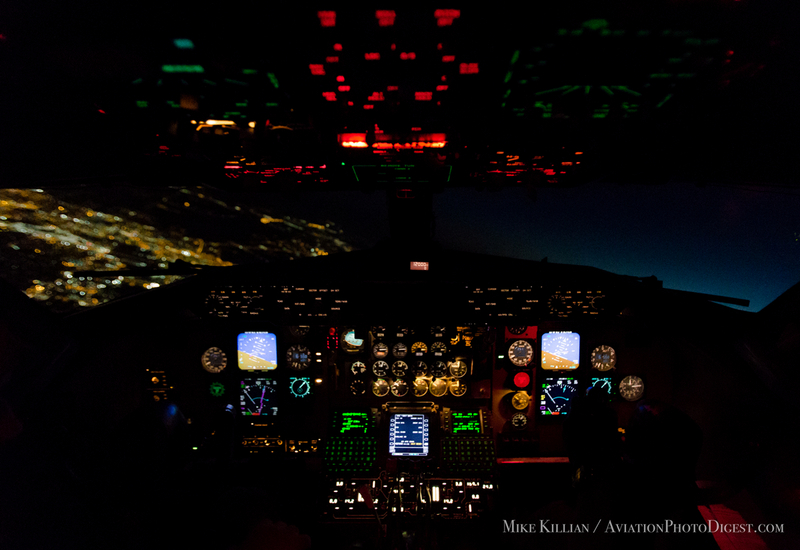 It’s not exactly comfortable, it’s cramped and cold, but the view is amazing. 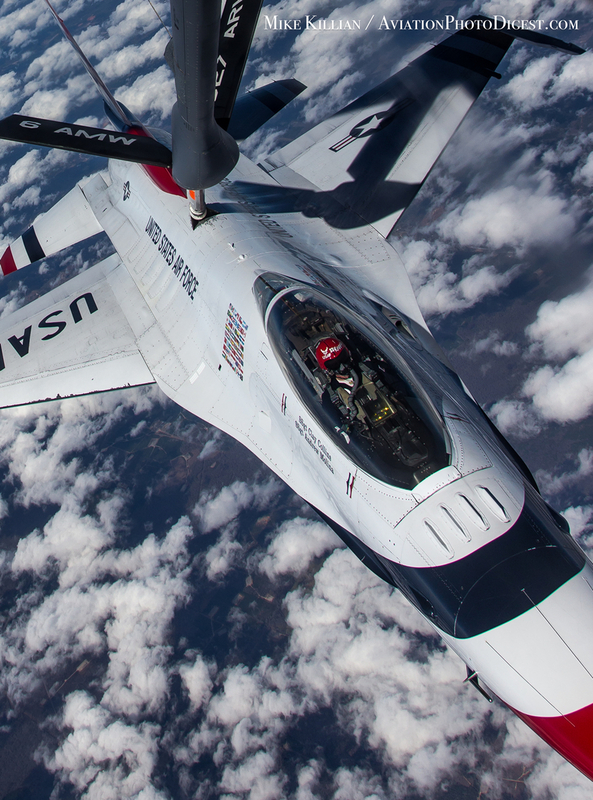 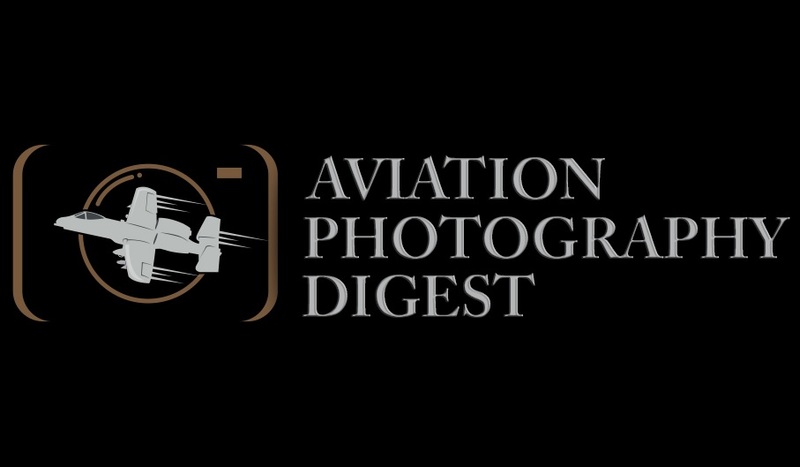 The tanker crew made refueling jets mid-air look easy, but linking up at 400mph is not something to take lightly; even minor mistakes can cost lives at 30,000 feet. 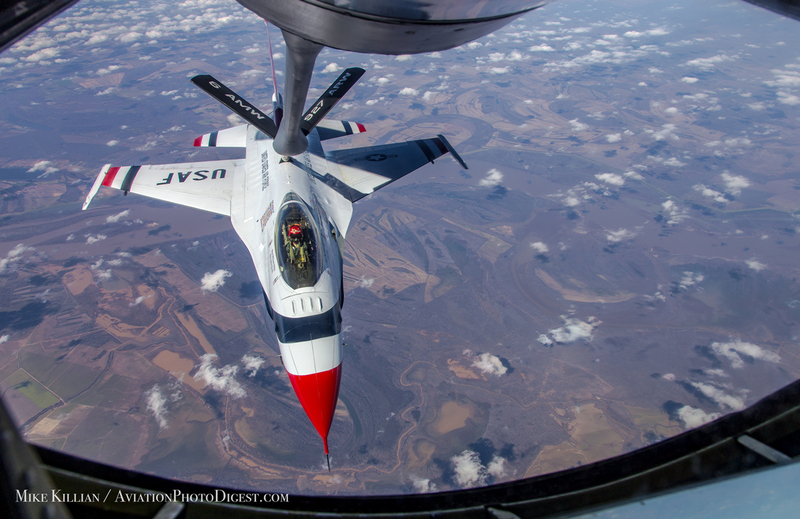 For that point on the team remained in a wide-spread formation with the tanker, all flying together until the F16’s were empty again over Louisiana. 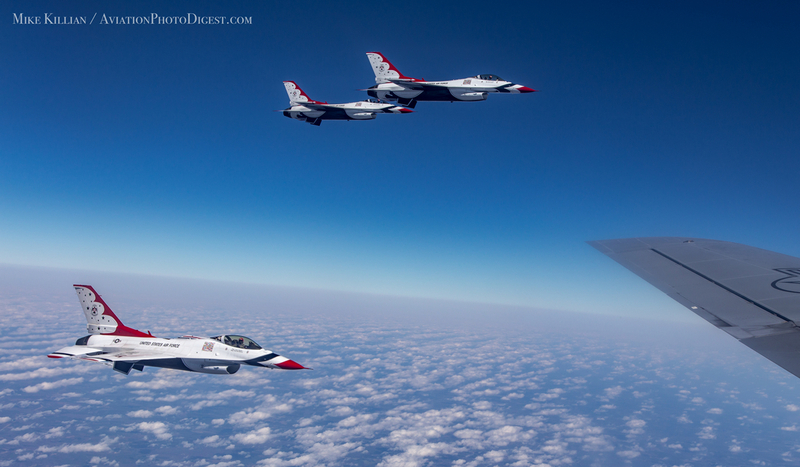 One by one each pilot fueled up with another 5,000 gallons before Boss called upon the team’s signature 6-ship Delta Formation, their way of saying thanks to the tanker crew and providing a rare air-to-air formation photo-op with the team before going separate ways to opposite sides of Florida. 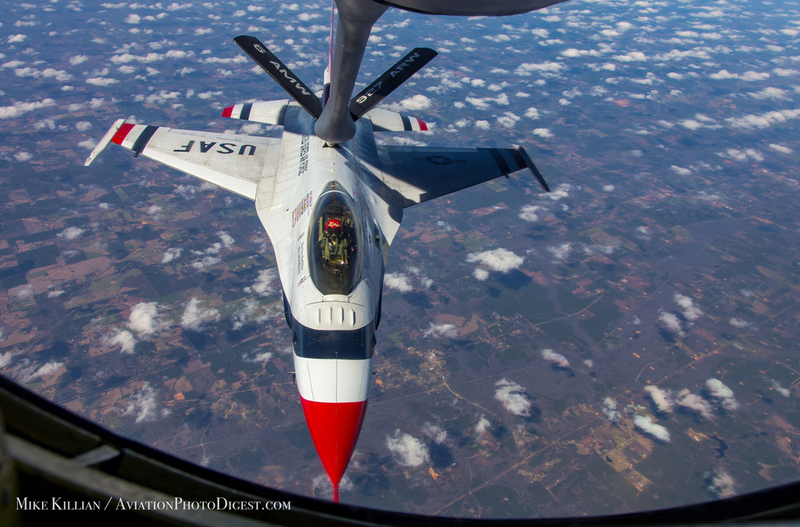 – With thanks to the U.S. Air Force, 6th Air Mobility Wing, MacDill AFB and the Thunderbirds for an unforgettable assignment.